I wanted to get married probably from the time I gathered my senses. An eternal tomboy, I secretly harbored dreams of being a bride and married. I remember telling my parents when I was 10 that I would get settled by 21- rich and more importantly married. Ahhh the way they used to laugh. Watching my parents was a sight, they were blissfully happy. They understood each other seamlessly despite owning personalities like chalk and cheese. They could talk for hours at length. Mum always wanted dad to come before 5 and Dad well he used to come by 2 J. Did I tell you they had a love marriage…..and boy what a love story fit for the pictures. It had parental objection, my mum not agreeing, dad getting married somewhere else and then happily ever after. But if ever there was one….my mum died after 14 years of marriage due to brain haemorrhage. Well despite of what happened, their marriage instilled in me a very deep sense of faith in the institution and especially that of a love marriage. My dad was quite cool and always told me that he had no issues in getting me married to the boy of my choice. So question of an arrange marriage never entered my mind. My high school relationship was everything that novels and movies are made up of- totally blissful with high overtones of ever after. It didn’t work out. And after that came a string of relationships- committed non committed flings all kind that somehow broke that faith I had in me. I decided that marriage and love were two different things so if that was true, love marriage was not my cup of tea. But marriage I had to do because parents had to be appeased, plus why make them bare the brunt of my own mistakes and follies. 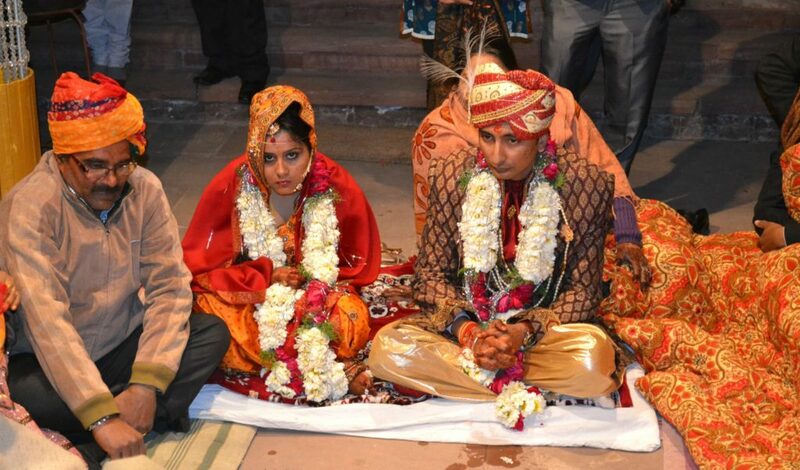 So in my head I decided that arrange marriage it was. I thought when the time would be right the boy of dad’s choice would be it. Thus ended my beautiful dream of love marriage. I joined a job began to work and made friends there too. No hang ups nothing. There I happened to meet someone who was very different from people I had met before. Someone who didn’t believe in fairy tale love stories and held a very practical sense of the world. Well we became friends and would sit together and make fun of the rosy colored world picture. Soon I realized that something had begun to brew between the two of us. I got scared and decided that I needed to withdraw myself. Sensing my weirdness, he decided to confront me. It ended with him telling me that he loved me and me telling him that I didnt. I thought this would end, but a couple of days later he called to ask me why I couldn’t accept his love. I told him there were plenty of reasons. Besides me being hurt and not ready for a relationship, there was a major one. You see this guy had never been in love or in a relationship his entire life. That scared me. I was in no position to be someone’s first love or girlfriend. The responsibility attached to it is immense. And I remembered my own first relationship and the rosy life we led. He remained quiet for sometime before speaking. He finally told me he had been in a relationship in college for ten months and that had been a very hurtful one. He had never discussed it because it brought back unwanted memories. Hearing this fact softened my stand a little. I know it sounds weird but the fact that he had been in a relationship relieved me. I am like that, weird. Well something that should have put off another girl- a past relationship, drew me towards him. Eventually I began to date him. And it was blissful. I enjoyed myself thoroughly, I laughed, could be myself and everything good. This went on for quite sometime until one day I told him something that had been bugging. I told him that though its wrong of me to say so, but somehow I do get affected by the fact that he had a serious relationship. I apologised profusely for feeling such a thing but I had to be honest. He remained quiet before finally speaking that he had lied to me about the relationship. For sometime I thought hes joking and pulling my leg, but soon it dawned upon me that he’s quite serious. He went on to explain that I had such a weird stand that there was no way he could reason with me. So he thought that lying and winning my heart was a better outlook. I was stunned to say the least, but suddenly I realized the folly of my own condition and began laughing. I obviously forgave him and guess what 8 months later we got married. My faith in marriage and love marriage has been restored. I realized that my own guards and false notions about life was stopping me from living my own dreams. Very moving account of marriage.. What the speech conceals pen reveals.. The faith is restored and i can happily go to sleep that dreams no matter how old or trifle do come true.. I think this post can give hope to many heart broken lonely souls that they need to open up and accept the pleasant surprises the life can offer!!! Kudos to you for shring it. Your’s is an inspiring tale. It would certainly motivate anyone who believe in Love and Self belief. 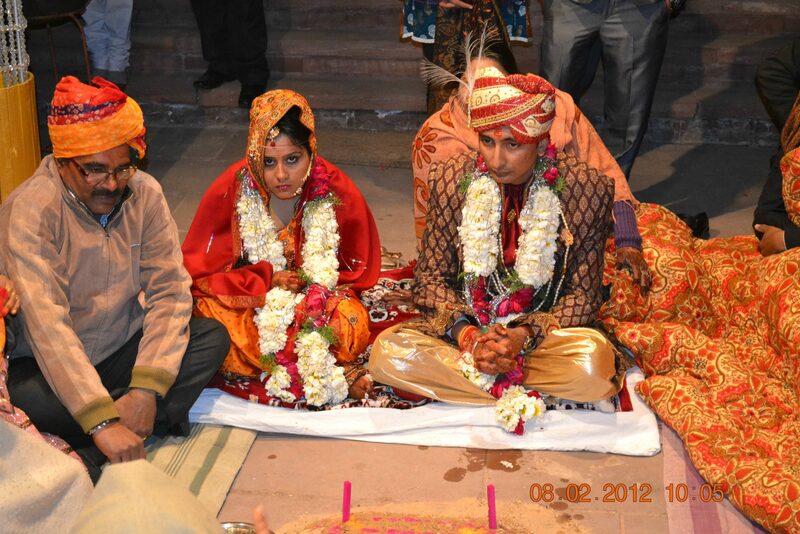 Have a Blissful married life and waiting for more such blogs in future. I hope everyone gets just this amount of love, luck ‘n good sense. Wow! i was really smiling at my end while going through your love story, it’s beautiful. I loved your story thoroughly, and I am glad you two found each other, and God bless you both. I followed Kislaya here and glad I read your award winning entry. Its great that you found your true love… I believe in Love and am huge advocate if breeding it wherever possible! I loved your story Richa! So beautiful. Thanks for sharing. Love happens to us when we expect it the least…..it has that kind of power to draw us towards it that we forget all the hurt and tears we had in the past. Thanks Richa 🙂 and yes love has many powers and one of them you have mentioned here..
wow.. quite a bollywood love story u have 🙂 .. Congrats.. love marriage or arrange, main thing is to find ur true soulmate which u did.. Exactly Roohi.. whether its a love marriage or an arrange marriage, what really matter is finding true love, finding a person who can take all your sorrows and stand there by you in all your ups and downs.